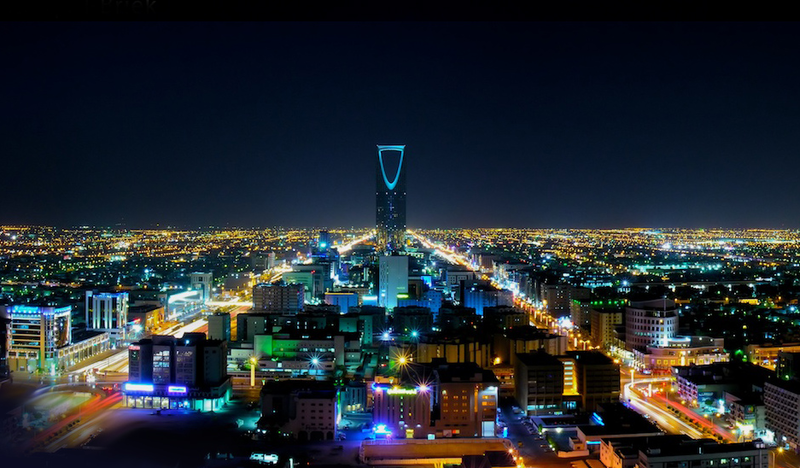 Riyadh, Saudi Arabia: Mergermarket, the leading global provider of M&A intelligence, has highlighted dramatic year-to-date growth in M&A deal value targeting the Middle East. 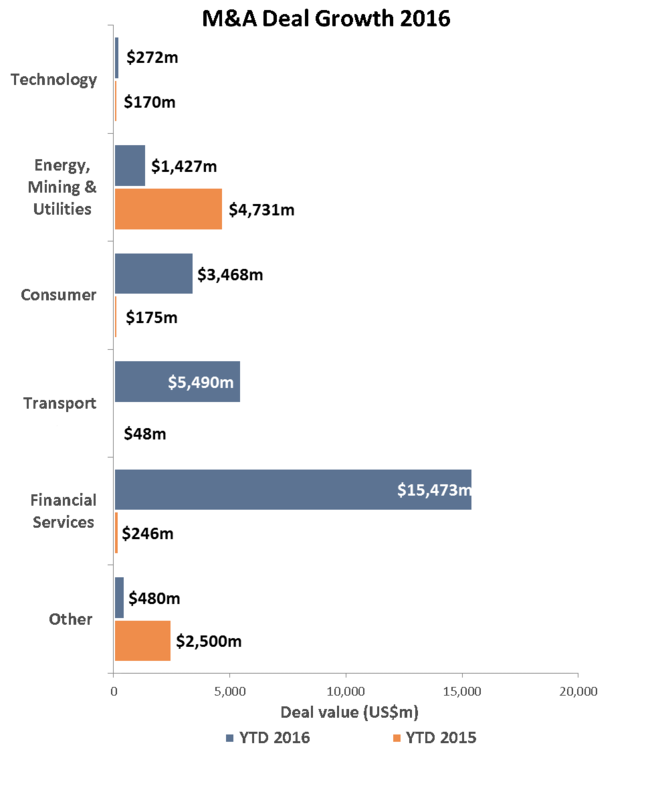 With 55 deals worth $26.6 billion announced, deal value has increased 238.1% compared to the same period in 2015 (54 deals, $7.9 billion), while deal count has remained consistent. The latest data has been released ahead of the Saudi Arabia M&A and Capital Markets Forum, to be held in Riyadh on 16th November. Deal value was highly influenced by the largest transaction in the region so far this year – National Bank of Abu Dhabi PJSC’s (NBAD) $14.8 billion acquisition of UAE-based First Gulf Bank (FGB) – accounting for 55.6% of the Middle East’s total M&A value, and pushing the Financial Services sector to the top of the industry rankings (six deals totalling $15.5 billion). The deal will come into effect in Q1 2017 through a share swap with FGB shareholders receiving 1.254 NBAD shares for each FGB share they hold. At that point, FGB will be delisted from the Abu Dhabi Securities Exchange. Even without taking this deal into account, Middle Eastern M&A activity (54 deals, US$ 11.8bn) would still have registered a 49.5% value increase year-on-year. Deal-making in Energy, Mining and Utilities experienced a clear drop in activity from 2015, with the sector’s share of the M&A market falling from 60.1% to just 5.4% ($4.7 billion to $1.4 billion) year-to-date. Meanwhile the Transport and Consumer sectors saw increased deal values compared to the previous year. This trend was driven by German-based Hapag-Lloyd AG’s acquisition of United Arab Shipping Company SAG for $5.4 billion, which helped boost the Transport sector’s share to 20.6% ($5.5 billion). Nine deals in the Consumer sector contributed to a total value of $3.5 billion, up from just $175 million in 2015. Mergermarket’s upcoming Saudi Arabia Forum will address the market’s most important deal drivers, as well as looking ahead to key investment trends likely to be experienced in the coming year. Capital Markets and M&A professionals from the Middle East’s leading corporates, investment banks, private equity funds and financial & legal advisory firms will participate in panels, presentations, case studies and open Q&A sessions. The Forum will take place at the Ritz Carlton, Riyadh.